When most people hear the word “ballet,” images of The Nutcracker, Romeo and Juliet and Swan Lake, with their magical tales of love, generally come to mind. Marla Hirokawa, Artistic Director of Covenant Ballet Theatre of Brooklyn, wants to add a different kind of story to that list. 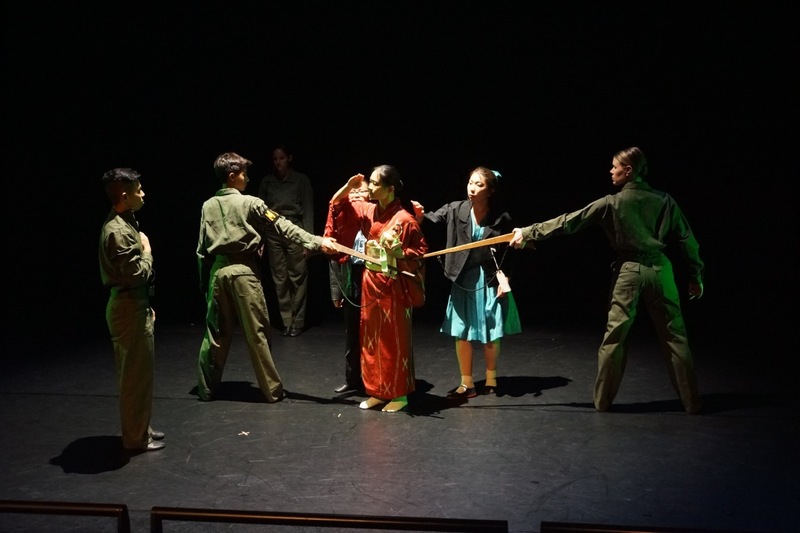 Nisei, a restaging Hirokawa’s original ballet, is the story of the Japanese American experience during World War II and has a five-performance run during the New York International Fringe Festival. 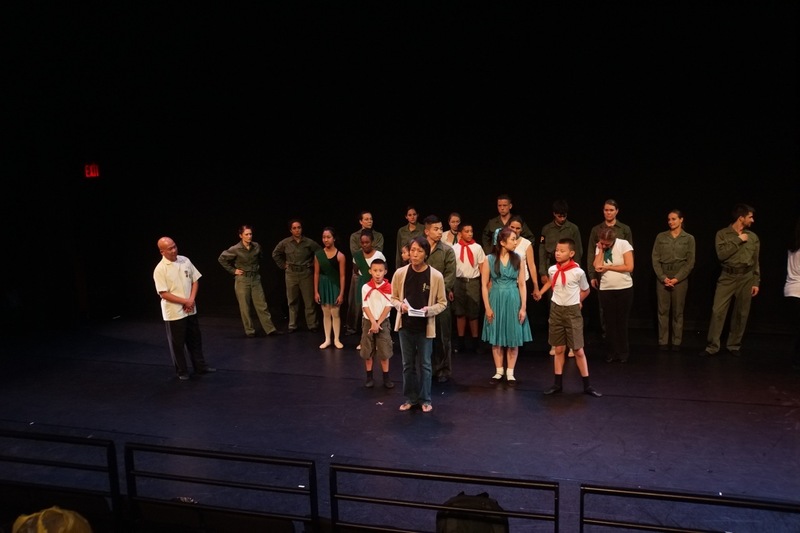 A Sansei (third generation Japanese American) from Hawaii, Hirokawa conceived and choreographed Nisei as a tribute to her father, the late Lawrence Yoji Hirokawa, and other second generation Japanese Americans who served and fought valiantly in the US military even while their families were incarcerated in US concentration camps. 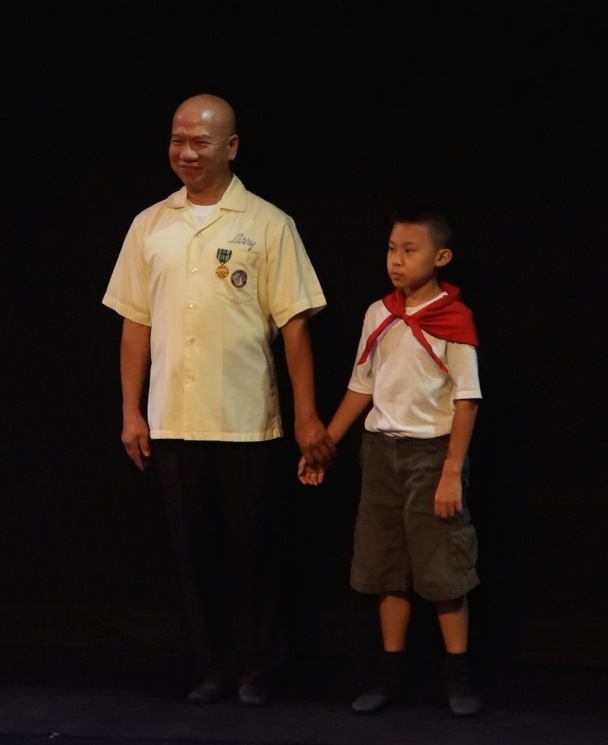 The story begins with an old Nisei playing with his grandson, and a flashback takes us to when he was a young man enlisting in the US Army. While his Japanese mother entertains friends in their home, they hear the announcement of the attack on Pearl Harbor, and their friends abandon them, suddenly suspicious of their Japanese heritage. The Nisei reports for duty, and the rest of his family is taken to a faraway camp. Discriminated against by his commanding officer and the rest of his squad, the Nisei lets his anger fuel his work ethic, fighting heroically in battle. The end of the ballet brings us back to the old Nisei, who is marching in the local Veterans Day Parade. “Marla is a great storyteller. Every one of Marla’s ballets puts some history behind it,” says Lawrence Lam, who plays the old Nisei. 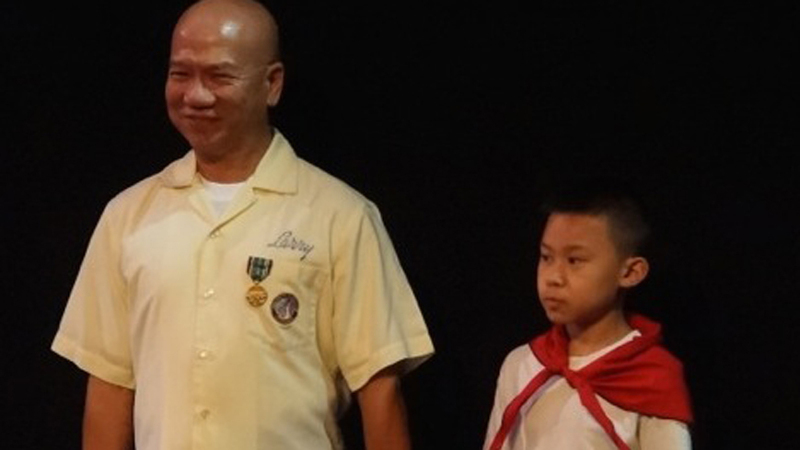 Lam’s costume was once worn by Hirokawa’s father, who fought in the segregated 100th Infantry Battalion, losing an eye during combat in Italy and receiving the Purple Heart and Bronze Star. “I am honored to wear her father’s shirt,” says Lam. Nisei will honor US veterans, including Kaz Yamaguchi and Tak Furumoto, who will join the dancers onstage. Furumoto was born in Tule Lake Relocation Center in 1944 and moved with his family to his father’s native Hiroshima following the atomic bombing. His family returned to California when Furumoto was twelve, and he later became an officer in the US Army and served in Vietnam. 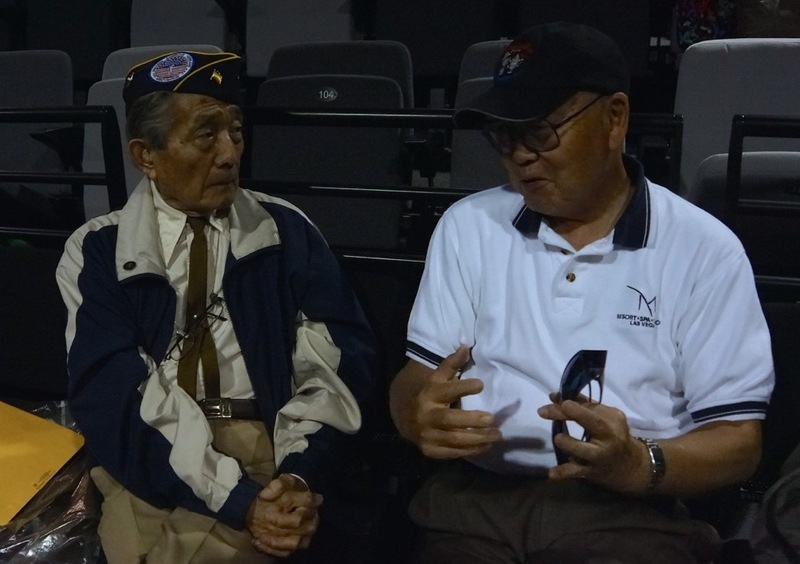 Yamaguchi, an 89-year-old Nisei who grew up in Queens, began his World War II military service in the vaunted 442nd, but he was transferred to Military Intelligence Service Language School (MISLS) because he was fluent in Japanese. Furumoto had politely declined Hirokawa’s requests for him to join past stagings of Nisei, but relented when he realized Yamaguchi was participating. Charged.fm named Nisei one of the ten must-see shows at the Fringe Festival, and JapanCulture•NYC concurs. You must see it for the choreography, the live band with koto and shakuhachi featuring songs by Hawaiian ukulele sensation Jake Shimabukuro, and the powerful beauty of the dancers. But most important, you must see it for the story, as it represents the determination and perseverance of the Nisei. Tuesday, August 12 at 7:00 p.m.
Wednesday, August 13 at 5:45 p.m.
Friday, August 15 at 6:15 p.m.
Saturday, August 16 at 2:00 p.m.
To purchase tickets, please visit FringeNYC’s website.